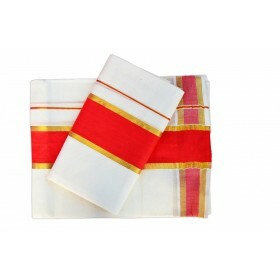 Kerala traditional/festive wear is fast becoming the trend of all over the world in the women's dres..
Royal sartorial elegance draped in this off white tissue kasavu saree. 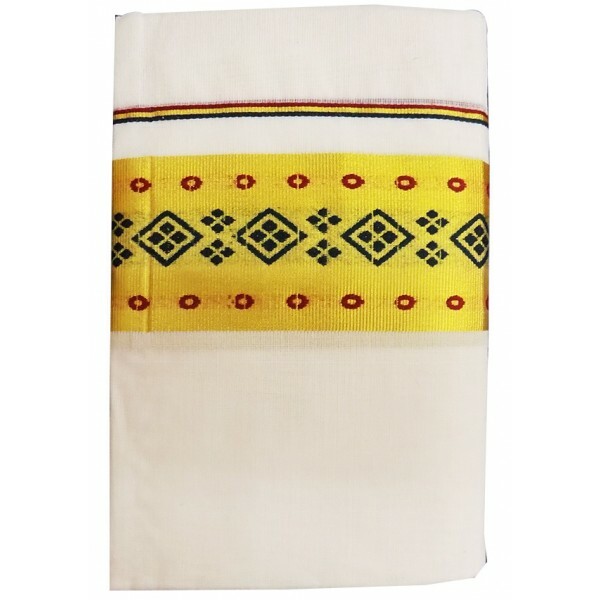 It’s mainly wear at the.. 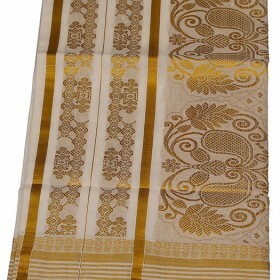 Stylish and traditional ethnic collection for Kuthampully Special Patch Krishna Embroidery Kasavu Sa..
Latest model of Rich royal look traditional kasavu saree with line border. 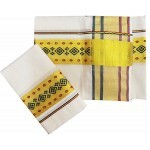 4 inch horizontal strippe.. 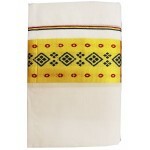 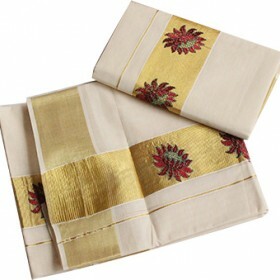 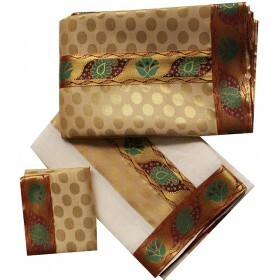 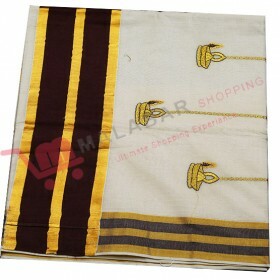 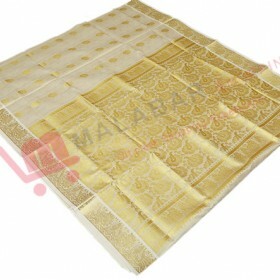 Simple traditional Kerala kasavu churidar with off white colour having gold, red and green floral th.. 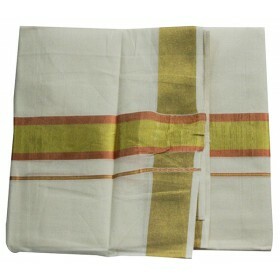 Traditional settu mundu with golden kasavu vertically in that Simple design works inside the golden kasavu makes more shining while wearing for every occasion. 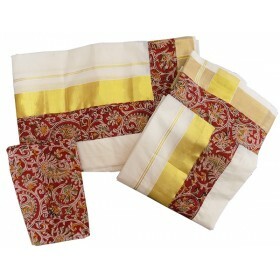 Large kasavu bottom border in that small borders with red and dark blue color horizontally in both the sides of the golden kasavu from Malabar shopping collection.